So recently I’ve had the pleasure of collaborating with an amazing Luxury brand called Bardou, who specialise in luxe hair products and even cosmetic products too. They sent me their bardou finishing mist hairspray and their dry shampoo. Reason why I was so excited about this is because, I’ve been on the hunt for a really good hairspray that doesn’t make your hair hard, coarse or overloaded with product. That’s goes for the dry shampoo too, and I’ve been looking for one that ACTUALLY WORKS effectively. So recently I filmed a YouTube video where I used these products for the first time on camera to give my absolute honest opinion. And I found that they were at least a 9/10. The hairspray has an amazing hold and you can still brush out your curls without losing them. You genuinely do get that Pantene advert hair look! As for the dry shampoo, it gets rid of all oiliness in my hair and I’ve found myself carrying it around in my handbag, it’s now a must have to bring to work. However, there is definitely a knack to using it. I found that you have to spray it 20-30cm from your head to get an even coverage which to be honest, isn’t hard at all. Both of these products will be coming with me on my upcoming trip abroad as I feel they would be great for travelling abroad whether you’re sitting by the pool or on the beach and you just don’t want to get your hair wet. 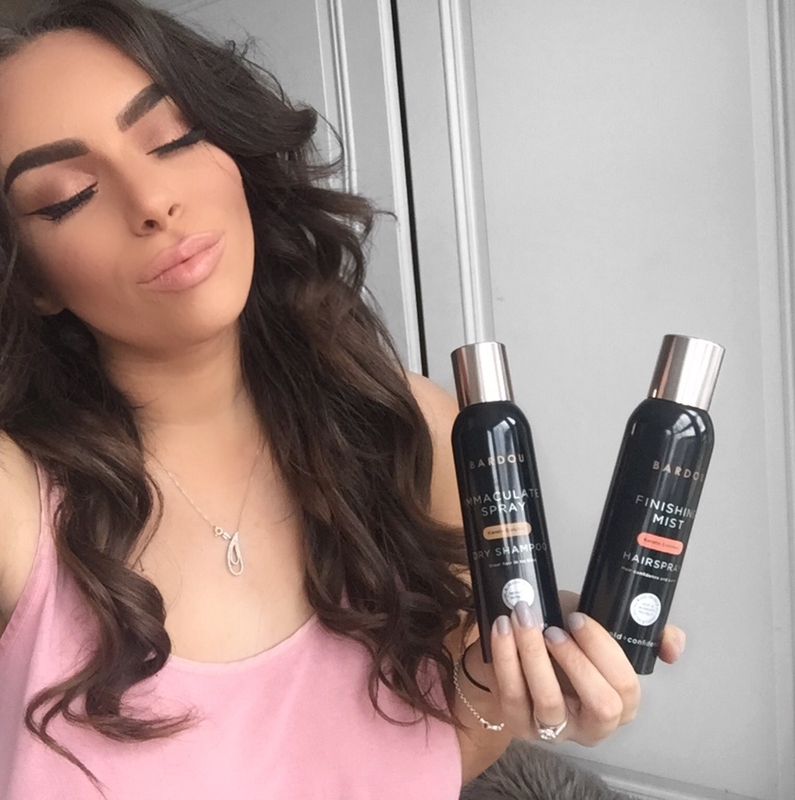 Bardou beauty is very strong on the fact that their products are enriched with Keratin and really healthy for your hair which is a great thing for me because I want my hair to be as healthy as it looks. I personally love the branding of the bottles and the box that these products came in, the packaging definitely feels luxurious and it was a pleasure opening the delivery. The look of the actual bottles are amazing and match the other luxury products on my makeup table such as my Ysl makeup. What I love is that the bottles aren’t huge cans, in other words I can put it in my bag so easily without taking up too much space. And the actual product that comes out of these cans smells so gorgeous and your hair smells gorgeous when you use them. If any of you are interested in using any of these products or trying them, then use my discount code: FRANCESCA10 for any product on the website.